Guardians of the Galaxy star Chris Pratt is surprised to hear that there are already betting odds that he will don Batman’s cape and cowl in Matt Reeves’ upcoming film The Batman. That’s right guys, the new Batman might just be Prattman! 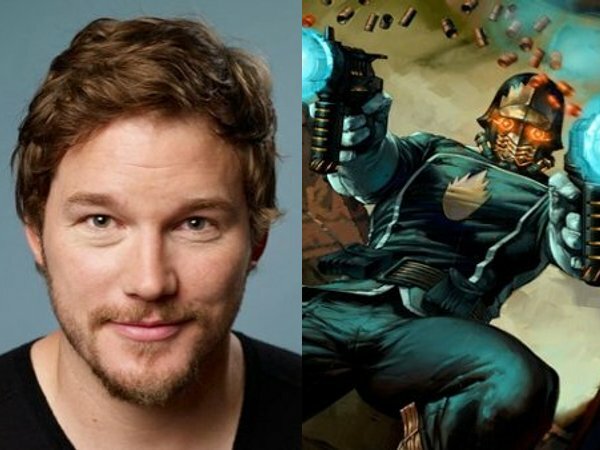 Pratt made his debut as Star-Lord in the Marvel Cinematic Universe in Guardians of the Galaxy back in 2014, and he has since reprised the role in the sequel, as well as Avengers: Infinity War. Despite being another casualty of Thanos’ finger snap, he is expected to return when Avengers: Endgame hits theaters in April. Rumors of Ben Affleck’s early exit from the DCEU have been plaguing The Batman for quite some time, beginning with his decision to step down as director. Henry Cavill’s rumored departure as Superman, as well as news that the script would focus on a younger Caped Crusader, only served to fuel speculation that Affleck was out. Production was initially looking to begin this summer, though it was recently confirmed that the actor’s time as the Dark Knight had officially come to an end and the movie has since been given a tentative 2021 release date. Now, Irish bookmakers BoyleSports have already revealed early odds for who could take over the role in his absence. Pratt certainly wasn’t the highest on the list, but at 16 to 1, he wasn’t the lowest either.Pratt may be an unlikely candidate to take up the mantle of Batman, but soon enough, someone else will. Plenty of names have been tossed around even before Affleck’s departure become official, from Jon Hamm to Robert Pattinson. It seems like the studio might look for a familiar face, but they could also surprise everyone by casting a relative unknown. The Batman’s future may be currently shrouded in mystery, but fans are waiting with bated breath to see who will be next to step into the Dark Knight’s boots. 25 reactions to Infinity Wars trailer that will kaboom your mind!